As a present for my seventh birthday, I got my first small safe. This is not a typical gift for a seven-year-old girl, but I was thrilled! My younger brother, who was five at the time, always found a way to get into my stuff – stealing my pennies, eating my candies or breaking my Legos. Believe me, I was not a selfish child who doesn’t like to share her stuff, but when someone breaks the favorite parts of your princess castle, you have to be at least a little bit mad and disappointed. I had my first small safe for ten more years, and it kept my valuables and secrets away from curious eyes and fingers of my family members. When I started college, I realized I would need a new one for my dorm room. 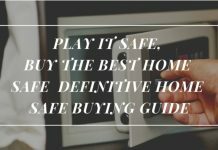 After a few years when I moved into my first apartment, I decided having a safe is a commodity that I am used to and why would I change something that works so well for me. 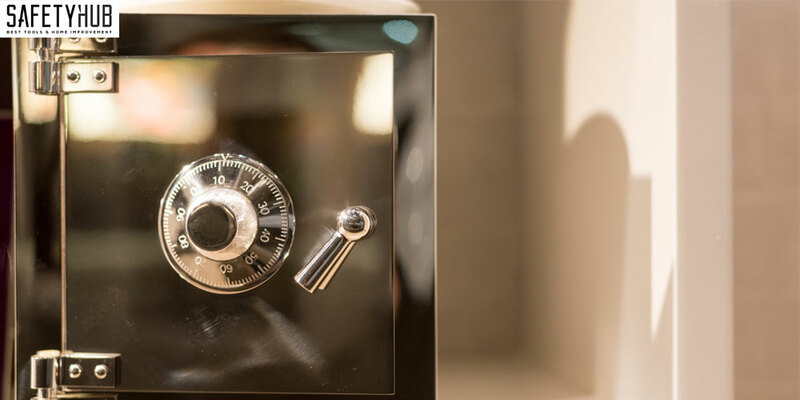 So, if you have cash, jewelry, handguns, anything you find valuable and you want to keep secure and locked, I would recommend you to buy a small safe. 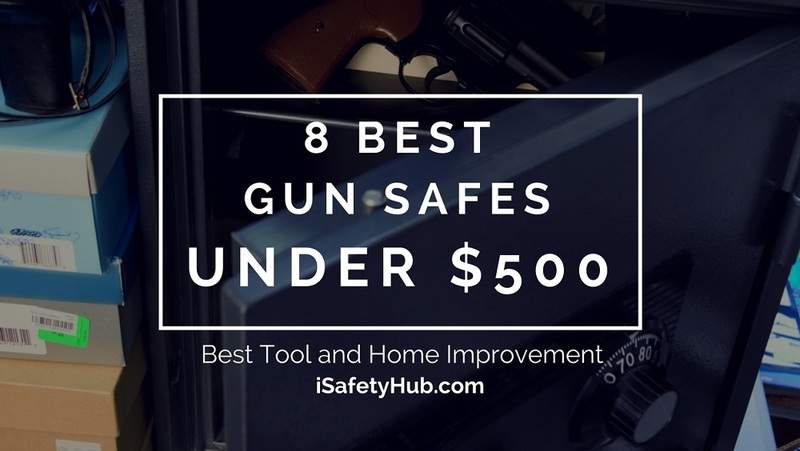 Keep reading, and I will tell you how to choose the best small safe for yourself and present you the top five models on the market right now! 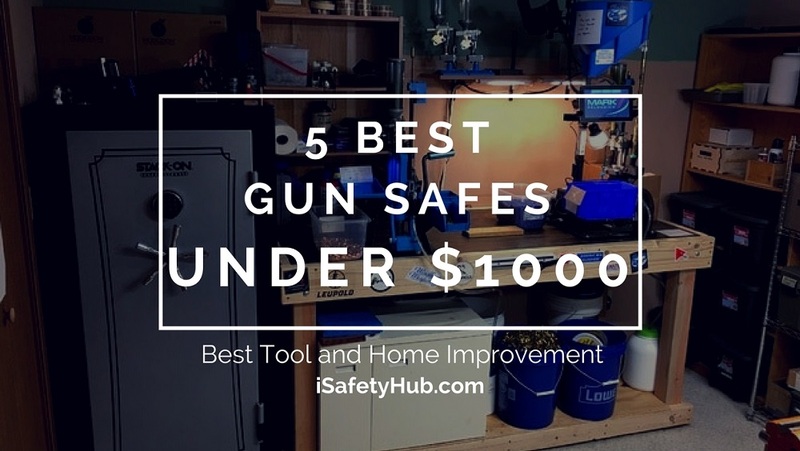 If you are in a hurry, Click here to skip the buying guide and jump straight to the top 5 Best small safes list. 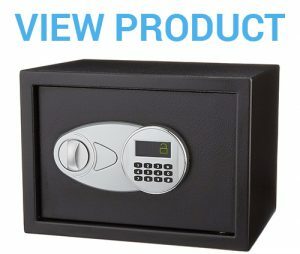 How to Choose the Best Small Safe on the Market? 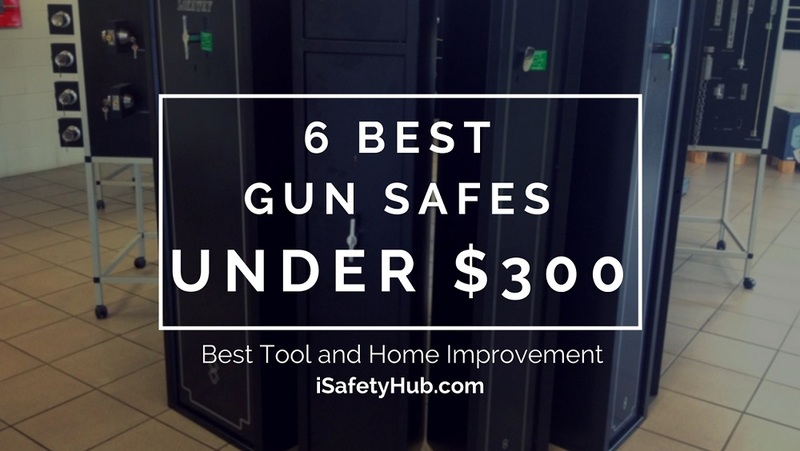 There are three major factors you have to consider before purchasing a small safe. 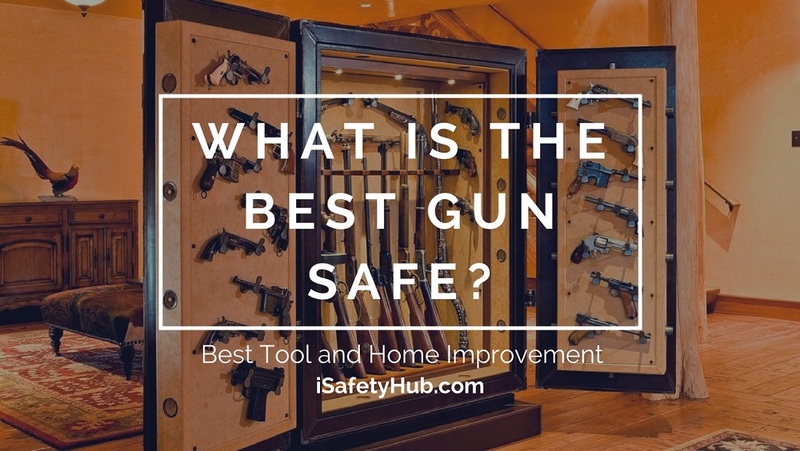 Ask yourself this: What are you planning to store in your brand new small safe? Depending on your answer, you can choose the right size for your needs. Remember, you should look for internal measurements and the layout, not external ones. 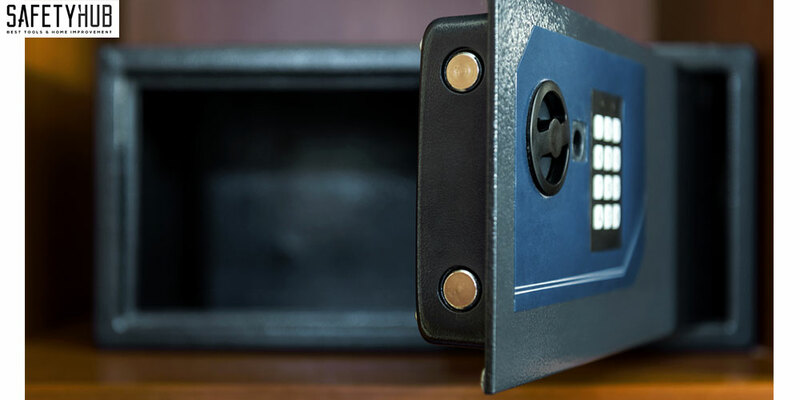 Safes are usually smaller than they appear, because of the thickness of their walls and doors. For example, most small safes are not large enough for storing a regular sized gun. They are designed for cash, smaller handguns, prescription drugs, jewelry and so on. You don’t have to worry, reputable manufacturers and sellers will list all the internal dimensions, so you’ll know what you can fit into it. 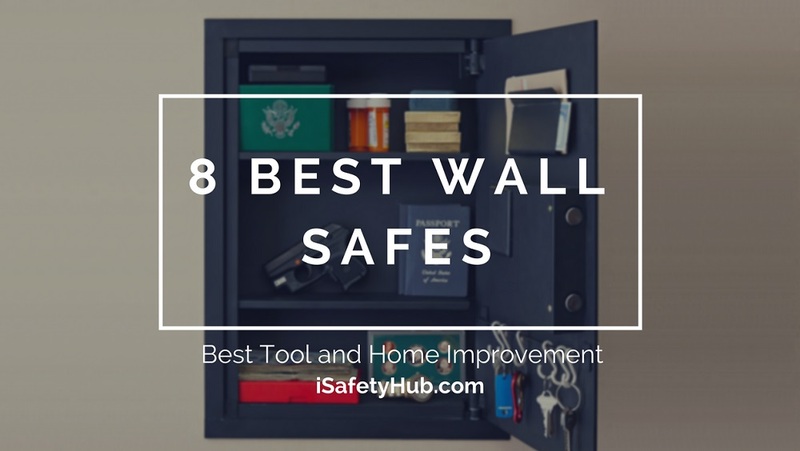 People often neglect the fact that safes have shelves, which can limit the disposable room by cutting it in half. So, if you are buying a small safe that has a shelf, make sure it is removable. If this is the first safe you are dealing with, I would recommend you to choose models that offer a few different locking methods. If you only rely on your memory and the passcode, you might end up locked out. 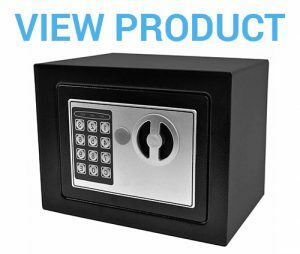 However, locking methods can significantly affect safe’s security, price, and convenience. 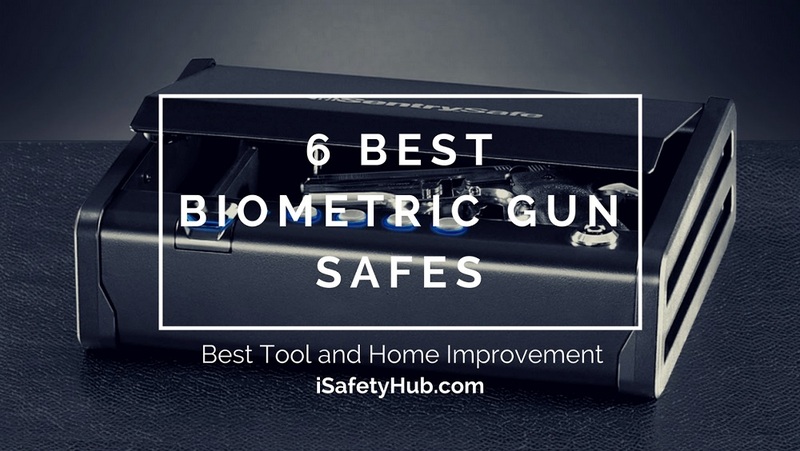 Most commonly, you will come across safes that use a simple key as a locking mechanism, electronic interfaces, mechanical combinations, and biometric technology. 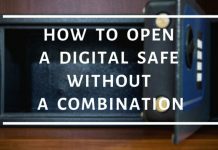 Small safes usually combine two or three different options, just in case. You can expect to get an override key, no matter which model you choose. Mechanical combination locks feature a knob that you turn left and right in order to get the right combination and open the safe. This might seem cool, and it’s what you’ve seen in old-school movies, but it’s not very practical. While it does provide reliable protection, it can be time-consuming, and many thieves have learned how to decode it. On the other hand, electronic locks are a more up-to-date method. All you have to do is choose a number code that you’ll remember and enter it when you want to unlock the door. Still, cheaper electronic safes can be hacked just as quickly as mechanical combinations. 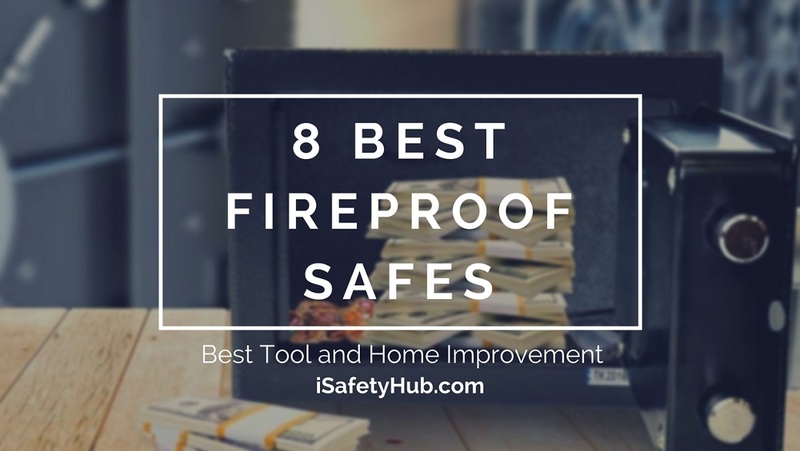 However, if you invest a few bucks more and purchase a high-quality small safe, from a reputable brand, with modern electronic locks, you will get many benefits. Some offer multiple user codes and can tell you who was the last person who opened the safe. Some models can give you a full history of the lock’s usage. They can even alert you when the safe is opened. 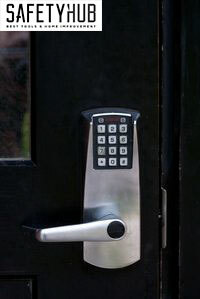 The newest trend in locking technology is biometric security. 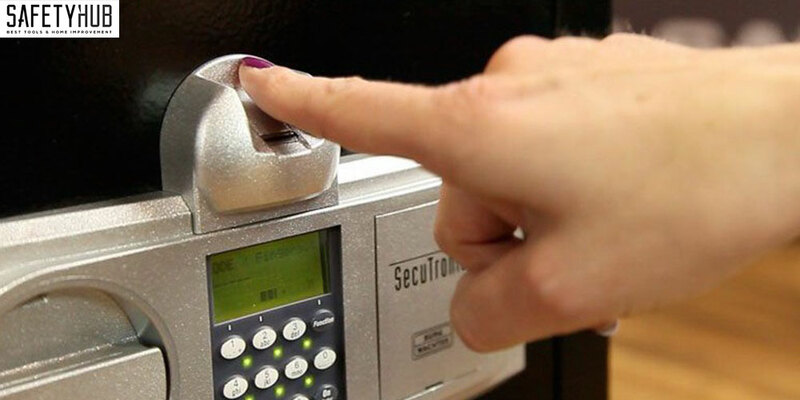 It uses your fingerprint or retinal scan, to verify that you are the person who has the authorization to open the safe. With each day, biometric locks are more reliable and more accessible to an average user. They work fast; there is no code to remember or a key to lose, and they are safer than other options. 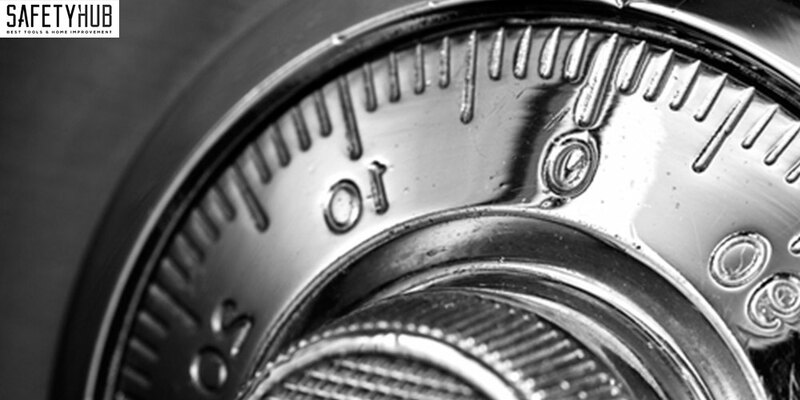 However, if you decide to buy a small safe with a biometric lock, you’ll need to set aside more money. 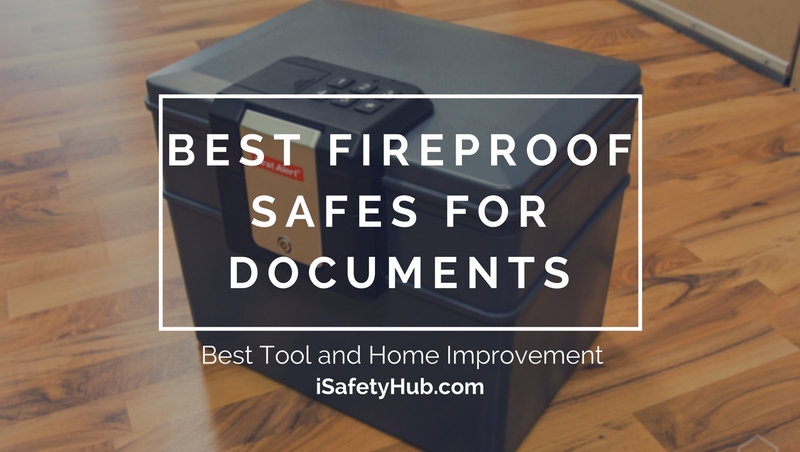 Small safes are usually made of steel and have thick walls, but still, they are pretty lightweight. This means they are an easy target for burglars. 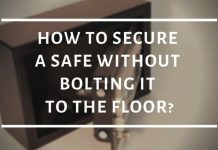 However, the vast majority of them comes with a bolt-down kit, or they can be mounted to a wall or floor, which makes them much more secure. 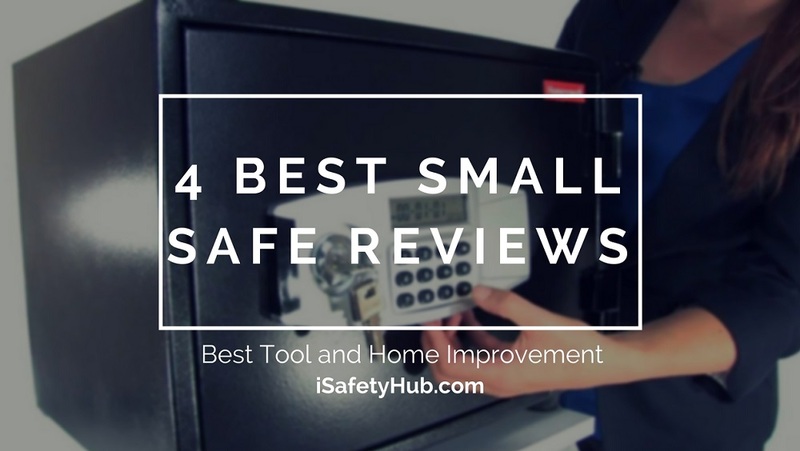 So, the best small safe should be as heavy as possible, and it should have a bolt-down kit as an additional safety measure. You don't have to worry about forgetting your security code. It has great size and two shelf spaces. It is spacious and has a shelf. It is reasonably affordable for the size. Electronic lock makes it safer. You can choose how to open it -- passcode or keys. It is ideal for smaller handguns. When the safe is bolted down, it can keep anyone out. The Tubular key is hard to pick. It is made of steel which makes it cumbersome. You'll have three different ways of opening this safe. The keys are very robust and four-sided. There is a LED light inside. As someone who is in love with Amazon Alexa, as soon as I saw Amazon Basics’ 0.5-cubic-foot security safe, I knew I have to try it. It features an electronic lock and two emergency override keys. 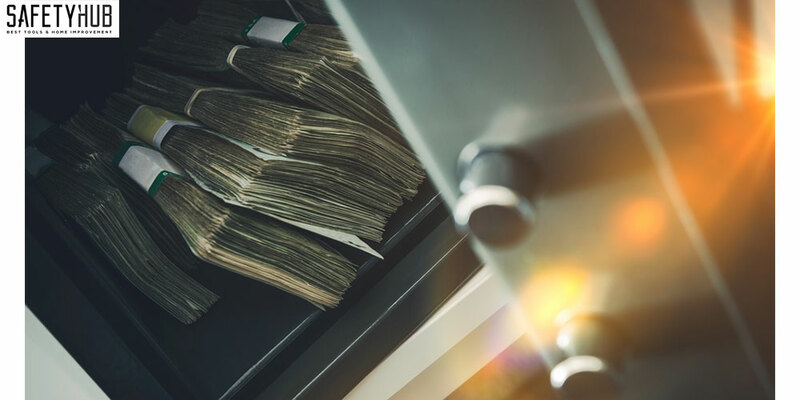 With steel construction and carpeted floor, two live-door bolts and pry-resistant concealed hinges, this safe will treasure your cash, jewelry or anything else you find valuable. First things first, I tend to forget my passcodes all the time. This safe lets you unlock it with emergency keys in case this happens, and you can reprogram it and change the password as many times as you like. 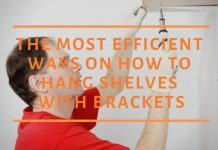 It is easy to install, offers enough space and its shelves are quite useful. If you want, you can secure it to the wall. Unfortunately, if the batteries die, the emergency key is necessary for opening, which can be inconvenient if you need to get something from the safe momentarily. Also, the beeper has an annoying sound you cannot turn off. At last, this model doesn’t seem too safe, as it can be picked easily. You don’t have to worry about forgetting your security code. You can secure it to the wall if you want. It comes with two emergency keys. It can be picked rather easy. When batteries die, the key is required which can be inconvenient in an emergency. You could break the knob by turning it forcefully. 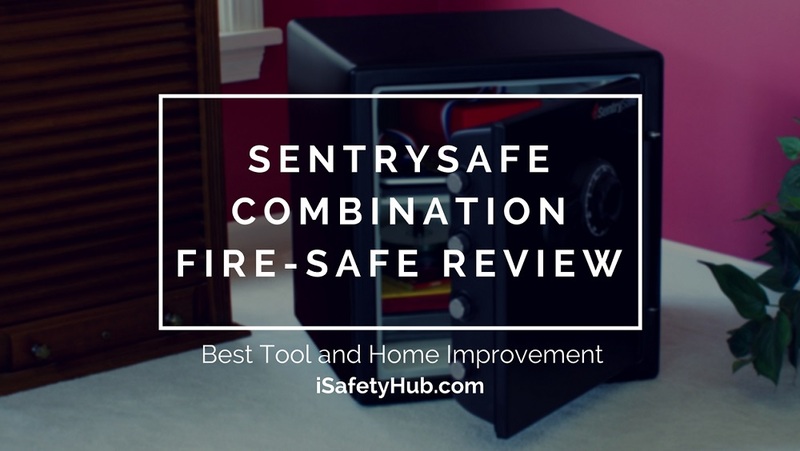 When it comes to small safes, you know SentrySafe is the brand you can count on. 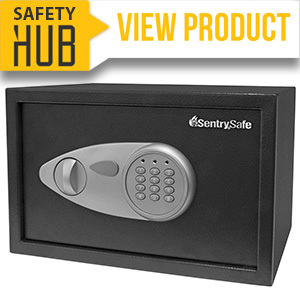 This model comes with a programmable digital lock, two override keys and bolts down kit. Its interior is 8.5″ high, 13.6″ wide and 8″ deep and has a carpeted floor, where you can store your jewelry and other valuables. 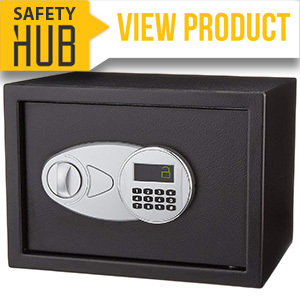 This medium digital lock safe is California DOJ certified for handgun storage as well. The thing I liked the most about this safe is how spacious it was. Also, the price compared to its size is impressive! The electronic lock makes it more reliable, and once you bolt it down, it is practically unbreachable. Steel construction, pry-resistant doors, and two live-locking bolts — that is solid protection. However, the keys to the safe are labeled with the brand’s name, so in case someone finds them, it is pretty apparent what they unlock. Also, the buttons beep as you enter your passcode and this can’t be turned off. The opening knob is a bit complicated to use. You need only two AA batteries. You can choose a variable amount of numbers for a passcode. Buttons beep, and there is no option to turn them off. Keys have the name of the safe on them. The knob to open the door is not easy to use. A resourceful thief could walk away with it. 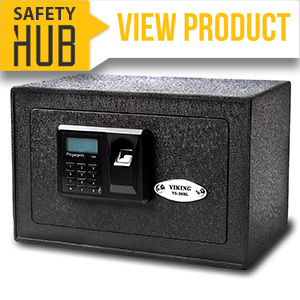 Safstar is here to offer you their digital electronic safe box, made of solid steel, with 0.22-cubic-foot capacity. It has an electronic lock and a safety key override. You can set your security code to be any number from 0-9, choosing between 3-8 digits. It comes with four AA batteries, 3000-time operation life expectancy. You can mount it to a wall or floor if you prefer. 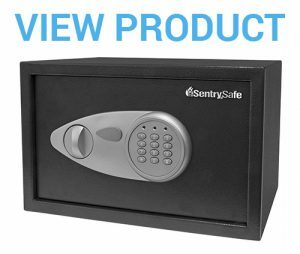 If you are shopping on a limited budget, this is a small safe I would recommend. Its price is fabulous, and it is easy to program and use at the same time. You can choose whether you’ll open it with keys or passcode. A friendly tip, if you want to prolong the life of the batteries, use the keys more often. On the other hand, I don’t think this is the most secure small safe on the market. The knob is cheaply made, and I think it could break easily. Also, the safe is lightweight so your average thief might pick it up and carry it home. At last, the button for reprograming the code is located under the lid that houses the batteries which can be quite inconvenient. You can choose how to open it — passcode or keys. It is easy to program and use. It is well-constructed and comes with mounting screws. The knob is made very cheaply. It is not as sturdy as you’d expect. The button needed to use the reprogrammable code is located under the lid that houses the batteries. 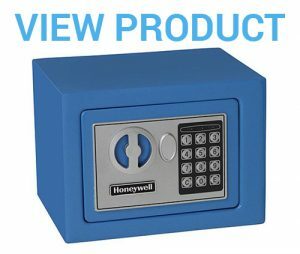 My first impression of Honeywell safe was — tiny but reliable. It will serve you right for storing cash, passports, jewelry, or prescription drugs but anything larger won’t fit. 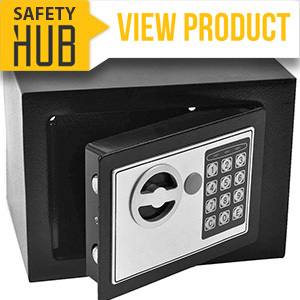 This 0.17 cubic feet storage comes with a programmable digital lock and mounting hardware. Most importantly, you will get a 7-year limited warranty. This safe might not be the best looking one, but once it is bolted down, it will keep anyone out. It features a tubular key, which is hard to pick and it is made of steel which makes it heavier than expected. You will get all the hardware you need to mount it to a wall or floor. Also, due to its compact size, you can easily hide it under a bed or inside of your closet. However, it does look quite ridiculous, just like a toy. Skillful thieves who know how to change the passcode won’t have any problem breaking into it. 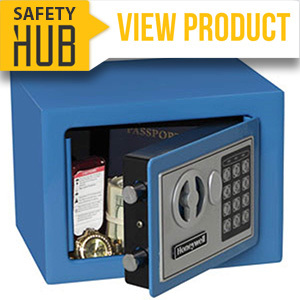 The safe comes with hardware to mount to a wall or floor. You can place it under your bed or on a shelf in the closet. Breaking into it by changing the code is easy. The paint might chip on the edges. It is smaller than expected. I love unlocking my phone with my fingerprint, which is why I was excited to test Viking’s security safe. Its dimensions are 8″ x 12″ x 8″ and you can unlock it using biometric fingerprint technology, PIN code or emergency keys. It features upgraded 500 DPI Optical Sensor and a motorized 20mm deadbolt locking mechanism with two pry-resistant insertion slots. This ingenious little mechanism can scan and save 32 different fingerprints, in case you are sharing your safe with multiple people. If the fingerprint feature doesn’t work, you still have two different ways to open it, which is fantastic. I particularly loved the LED light inside of the safe; it offers superior visibility. There is also a battery life indicator, so you know when is the time to shop for replacements. From my experience, the biometric fingerprint feature on Viking’s safe doesn’t work correctly more often than it does. Also, the hinges on the safe tend to work themselves loose over time, which affects the level of security this safe provides. You’ll have three different ways of opening this safe. The reset button is well hidden in the interior. It has a useful battery life indicator. The fingerprint feature doesn’t always work. The hinges tend to work themselves loose. Setting a new passcode can be a bit complicated. It is not ideal for emergency situations. So, we came to the end of today’s lesson about small safes. If you read carefully, you know that there are many different safes on the market and a perfect one cannot be found. However, there are some models that come pretty close to that. 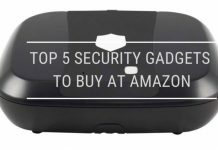 For example, I would recommend you to give AmazonBasics Security Safe a chance. It will provide you with enough space, and it is fairly reliable. Also, if you are a first time user, you will figure it out within minutes. 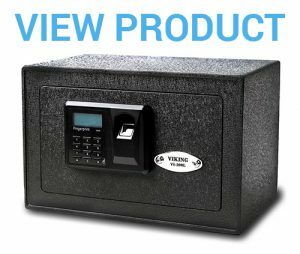 What do you think about small safes? Would you buy one for your kid or a student going away for college? Feel free to leave me a comment; I would love to hear your opinions! 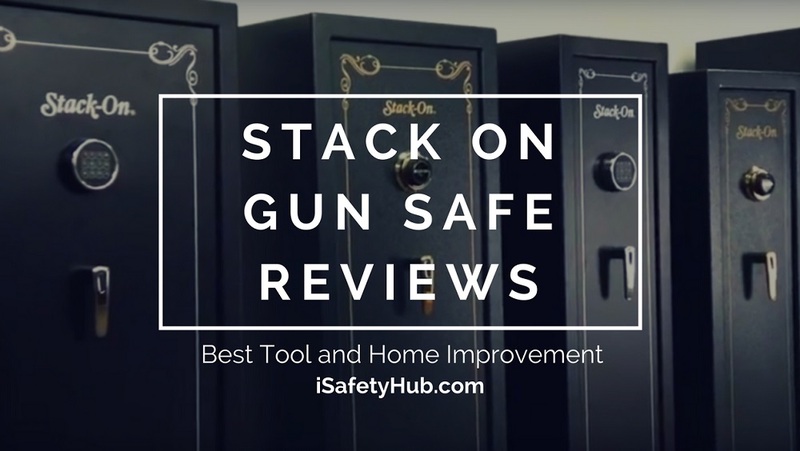 Next articleStack on Gun Safe Review: Are Stack on Gun Safes secure? I just moved into my dorm room for college and have been searching for a small safe like these to store my valuables from my roommate and their friends! This was very helpful and informative and will really help with my decision. This is great, I think it will be more useful for young person teenagers and people who travel a lot. This will help keep their stuffs very safe.